Some childhood toys only get better with age. 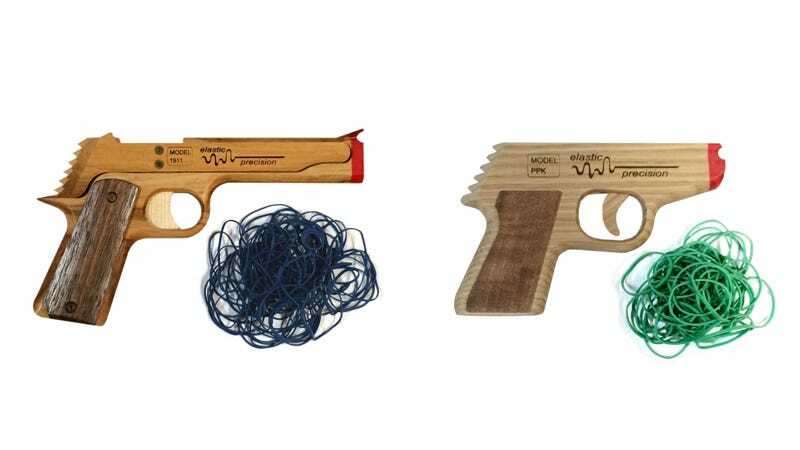 These wooden made in the USA rubber band guns are modeled after classic handguns made famous by golden age Hollywood characters. Choose from two different styles (from just $9) and have fun turning your living room into a no-holds-barred shootout. Full details here.